This draft was a huge learning experience for me. Not only did I learn so much about my characters, but I also learned a lot about the actual mechanics of storytelling, the functioning parts of a scene, creating backstory, and I learned a lot about generating conflict (I hate doing mean things to my characters! It’s so hard to do to the ones I like, and the ones who remind me of myself!). Now that I’m back and gearing up–finally–for the heavy revision process, I thought I’d share a few writing shortcuts I’ve learned that I’ll definitely be using in future drafting processes (which will be really soon with NaNoWriMo 2013 nearly upon us! I have a great story idea I’m dying to get onto a page this November. Are you joining me this year?? ), shortcuts that would have made Draft #1 a whole lot less of a pile of crap (not that a draft can ever be anything but, but it can at least be a little less). I’m trying tell myself that spending another five months writing Draft #2 after #1 wasn’t a complete waste of time. It was an experience. Ah, novel writing. The frustrations. I went at Draft #1 in a sort-of pantsing method and Draft #2 involved a lot more strategic planning. Though I don’t think I’ll ever become a full-blown plot outliner, it would be useful to utilize some of these planning tools in the future, to make pantsing Draft #1 a lot more cohesive and consistent. Having been out of the blogging game for more than a month now, I figured I’d ease back into the habit by making this a mini series, one post a week. Also, this will allow me an abundance of time each week to still dedicate to the revision! 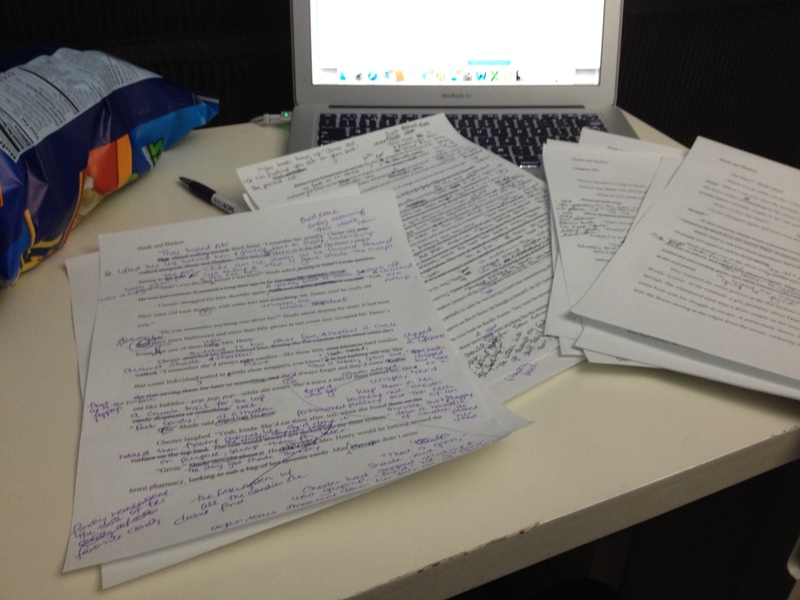 I want to get this manuscript DONE and OUT of my hard drive and INTO my beta readers’ inboxes!